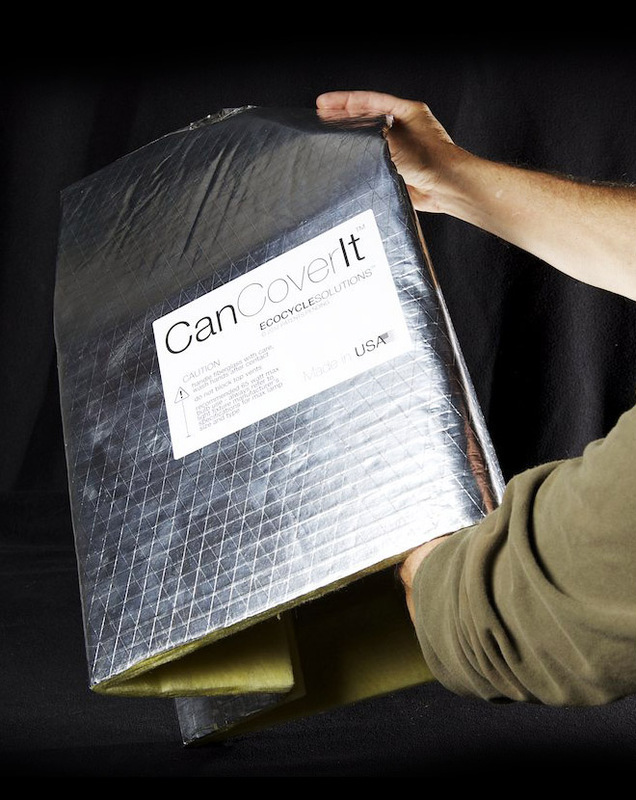 CanCoverIt ships flat and pops open in seconds to create a sturdy, free-standing insulation supporting structure. Easy and flexible installation. To pop open, hold top with one hand, place other hand inside and push outward on points A and B. 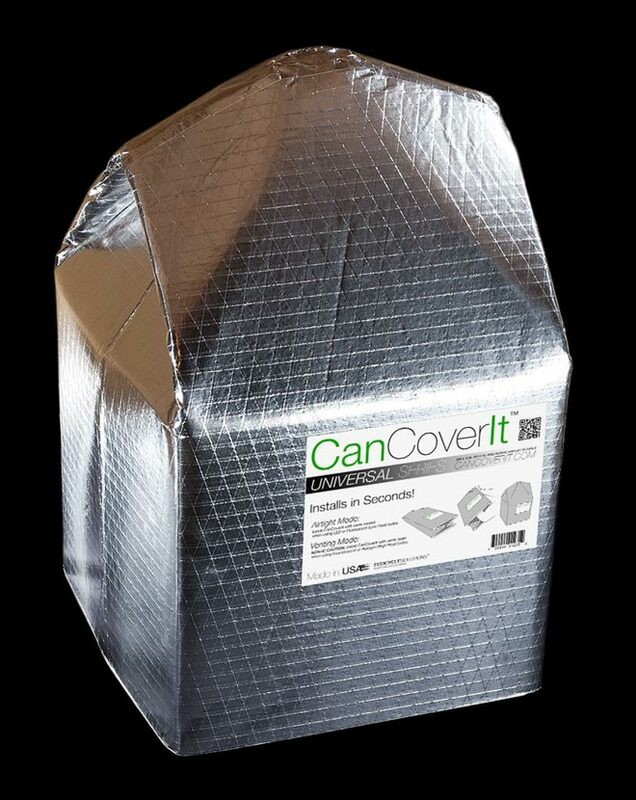 Once opened, CanCoverIt is ready to install. Try to avoid repeated opening and folding, this may weaken folded joints. "... an amazing product and so simple to install that anyone who can properly use a ladder and the business end of a utility knife can do it. Thanks for providing a great solution for my problem!" Simply place CanCoverIt against the brackets to create scoring lines, then cut along those lines to create a tight fit against the substrate. Expandable foam or other sealants help secure and seal but are optional. With precise cuts CanCoverIt will seal without the need for sealants or caulks. Applicable when future access is required, provides for easy access and removal. Even without sealants/tape CanCoverIt is very stable and self supporting. 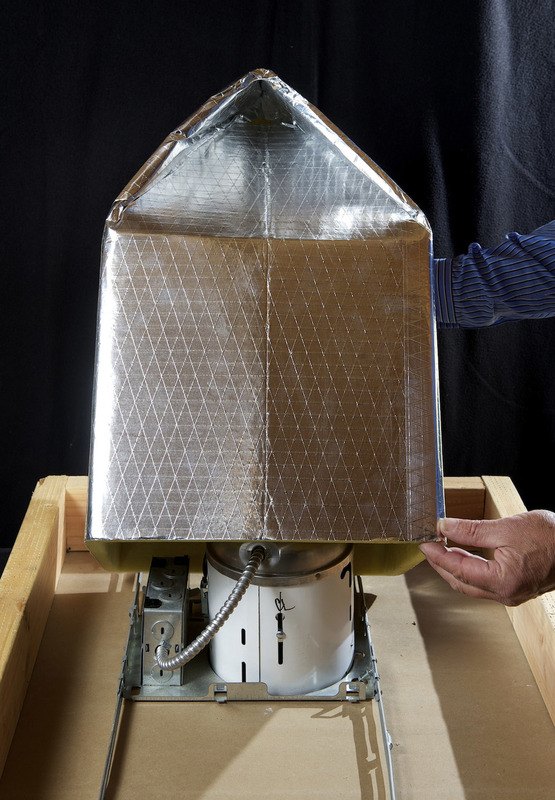 Weight of surrounding insulation pushes down/against to secure its position. Eliminates the mess and the cost of sealants. *Note: Requires accurate cuts and fitting to prevent air gaps. 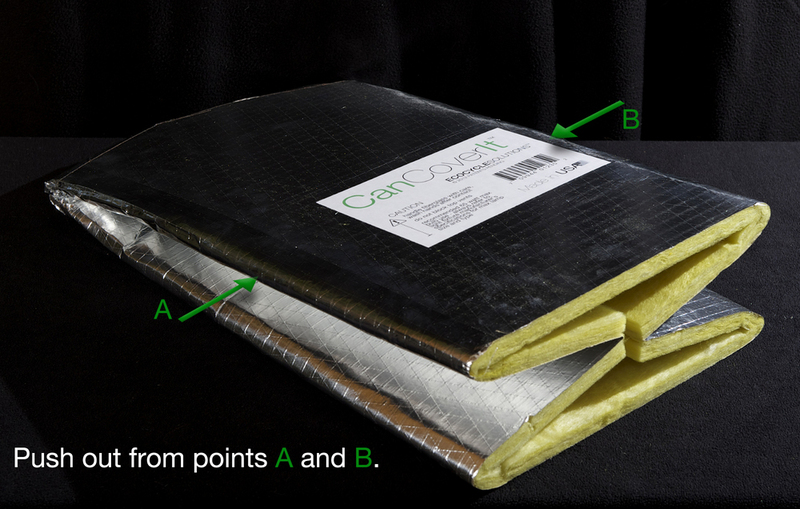 Use care not to knock out of position while installing insulation. Sets up quickly to secure CanCoverIt positioning. Fills even large gaps, but can difficult to achieve clean results. Has chemical fumes, can be messy and can expand into undesired areas. *Note: Foam expands so keep it on the outside to avoid getting foam inside CanCoverIt enclosure cavity. Foam inside can negatively affect performance and safety. 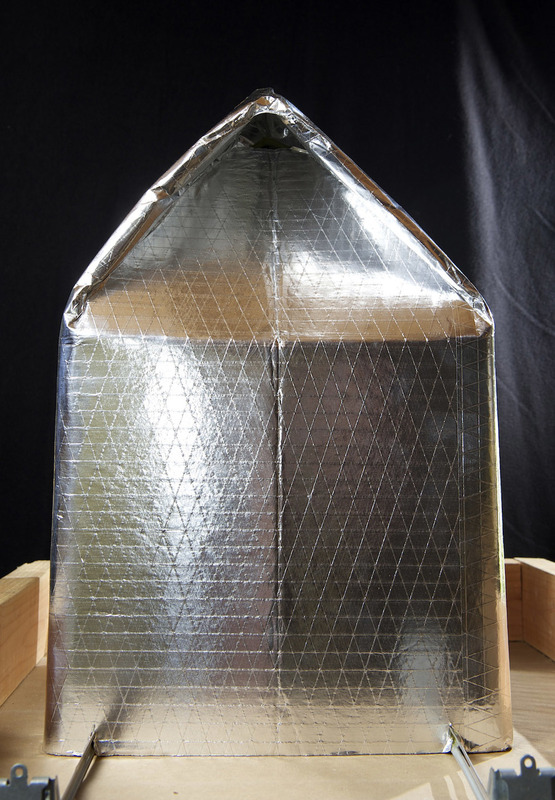 Has good adhesion properties even in dusty attics and provides an excellent seal. Less fumes than foam and its viscosity makes it less messy and easier to control. Added protection available through formulas that include mold retardant additives. 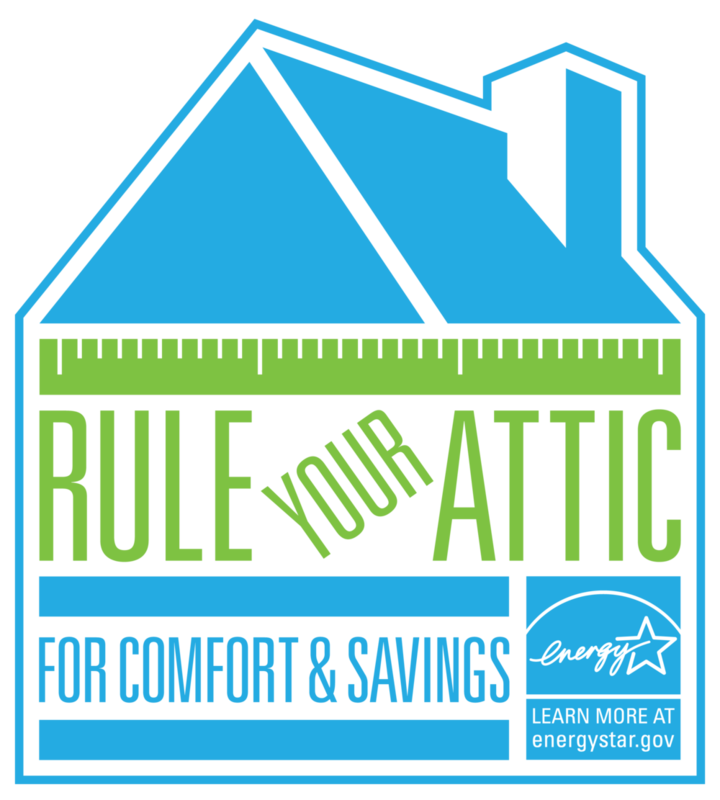 *Note: Cure time can be several hours; allow adequate time or use care not to displace when installing insulation. *Install Note: Make cuts for fitting (if needed) flip cover over and apply a bead of caulk along the entire base, then position CanCoverIt into place and gently push down. 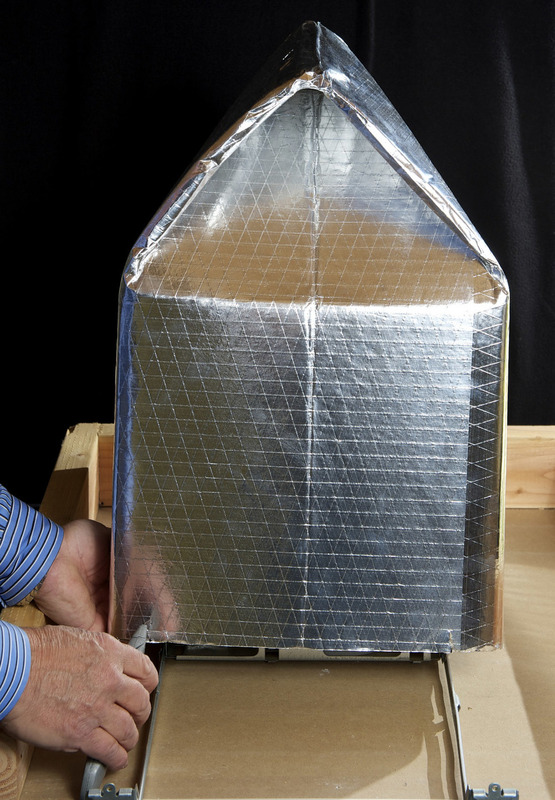 Duct Tape - Rubber based adhesives degrade get brittle and fail over time. Doesn't work well in harsh, dusty environments like attics, difficult to work with even under best circumstances. Painters Caulk - Latex Caulk without silicone additive provides poor adhesion and over time can dry out and get brittle. 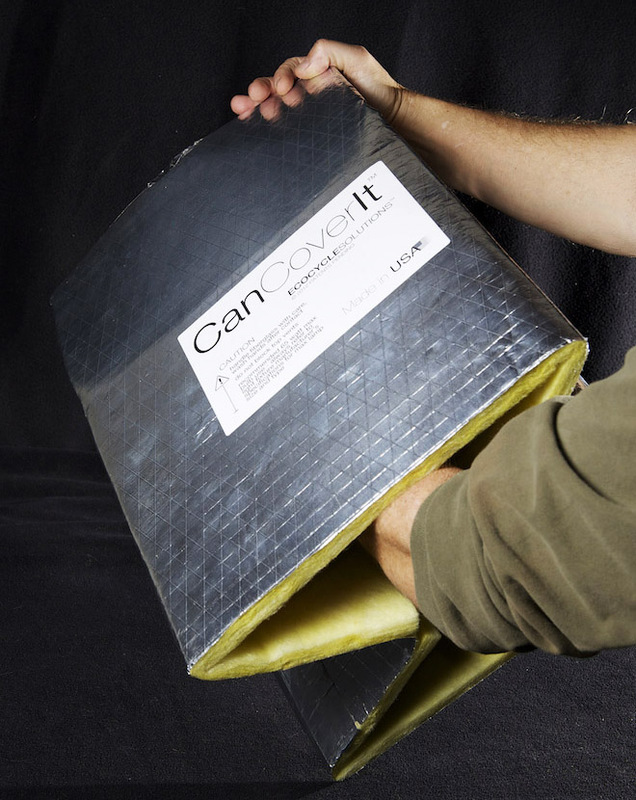 CanCoverIt is designed to accommodate not only DIY installs but also advanced fitment for special situations. CanCoverit easily scales to fit your skills and needs. 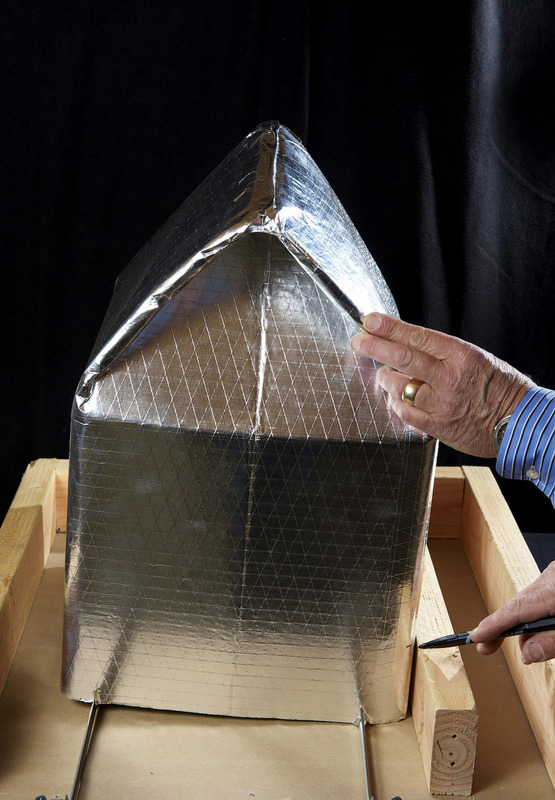 NOTE: Certified building science specialists may perform even more advanced installation including permanent substrate securing methods and venting modification. This video highlights a few common situations and how to accommodate them. Two segments: modifying for wires and accommodating non-standard size conditions. For Universal Series, vents can be popped out from the inside if desired. Allows accommodation of Non-IC fixtures. 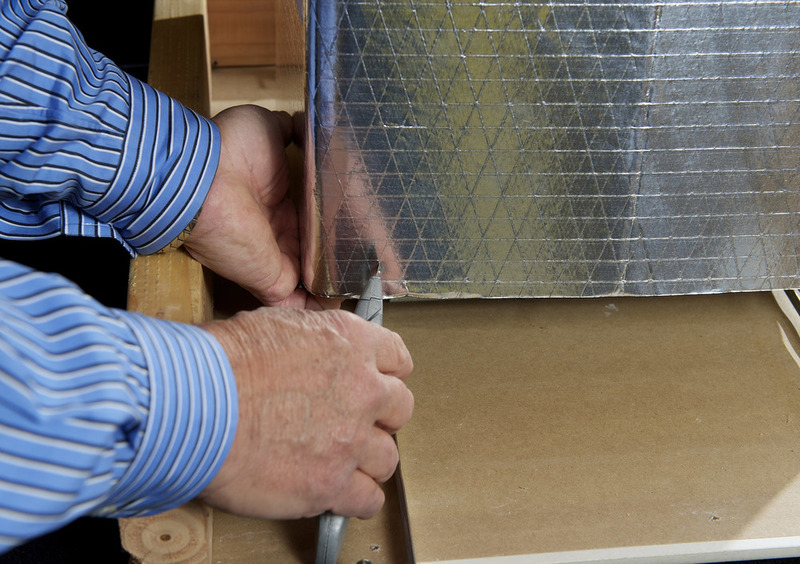 Airtight Installation: The Universal Series can be installed airtight when covering IC rated fixtures and/or when using low heat CFL or LED light bulbs. Want to get a certification? 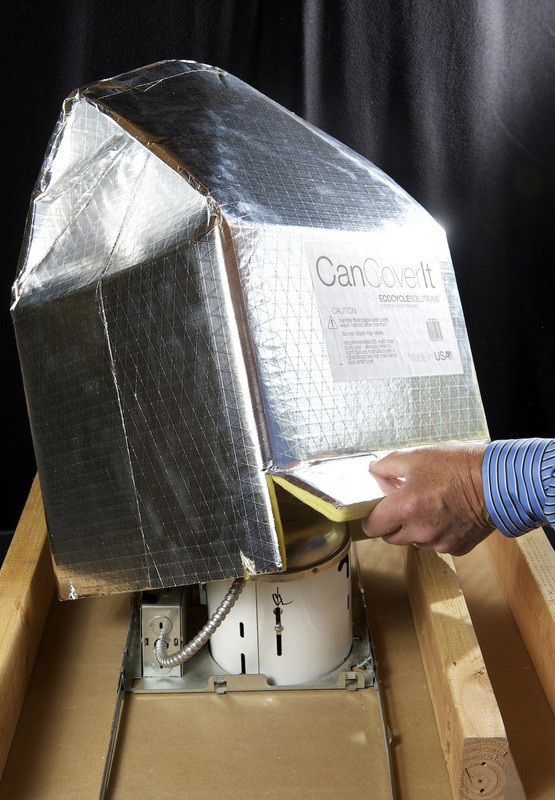 Green Homes America offers a course in air-sealing recessed can-lights featuring CanCoverIt as an option.